Chamomile is one of the more popular medicinal herbs and one that is used mostly for making tea. German and Roman chamomile are among the most popular of the different chamomile varieties. They have a lot in common besides the chamomile name. While they are both members of the Asteraceae family, they belong to different genera and do have some major differences. If you are trying to decide between them, consider the comparison in the SPICEography Showdown below. How do German chamomile and Roman chamomile differ? German chamomile is an annual. It has the apple flavor for which both forms of chamomile are known but it can also be bitter. Unlike Roman chamomile, the stems of the German chamomile are smooth instead of hairy. The flowers of the German chamomile are blue in color. It gets the color from certain compounds it contains called azulenes. German and Roman chamomile have similar flavor profiles but Roman chamomile is considered the sweeter of the two and therefore slightly superior as a tea herb. German chamomile is native to Eastern Europe as well as to Egypt. Other names for German chamomile are Italian camomilla and Hungarian chamomile. Roman chamomile is a perennial when it grows in a suitably warm climate. 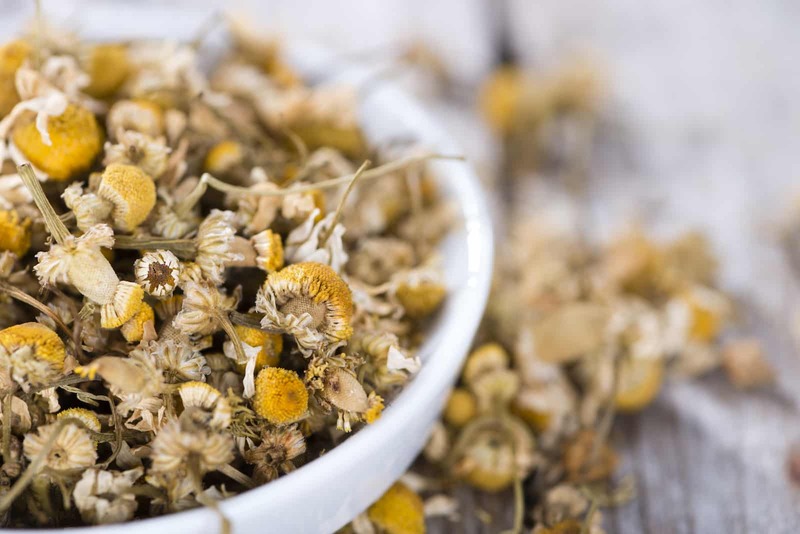 While the name may evoke Ancient Rome, Roman chamomile got its name in the 19th century when a botanist found it growing in the ruins of the Coliseum. The flowers of the Roman chamomile plant are larger than those of German chamomile and are the only part of the plant that is commonly used. The flowers are white rather than blue and the stems are coated with fine hairs. 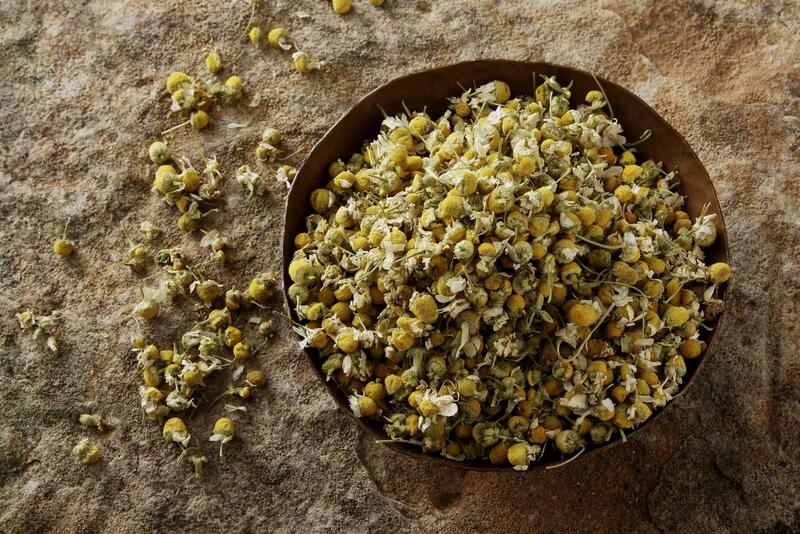 Roman chamomile is native to The southern and western parts of Europe as well as to the Middle East and East Africa. Can you use German chamomile in place of Roman chamomile and vice versa? Both herbs have traditionally been used mainly for treating anxiety and encouraging sleep and they are interchangeable for this purpose. 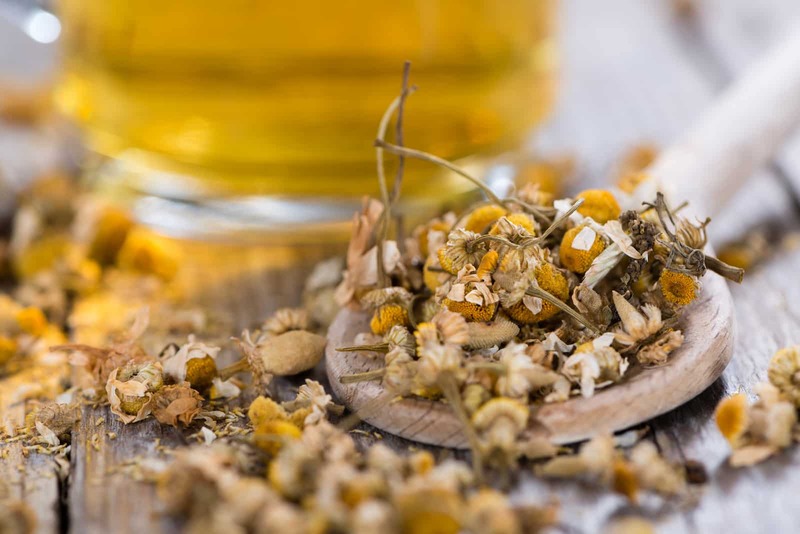 Less widely known applications for both types of chamomile are as a digestive aid and you can also use either one to treat colds and digestive ailments. When should you use German chamomile and when should you use Roman chamomile? 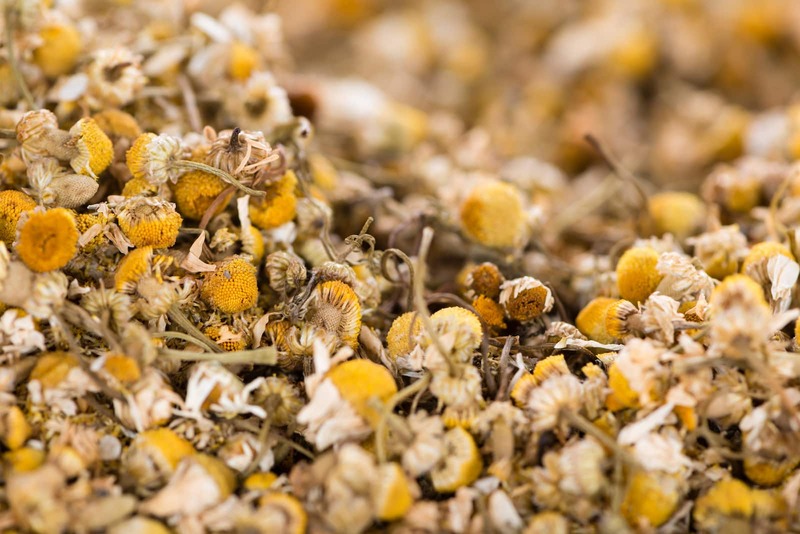 While both German chamomile and Roman chamomile have sedative effects and can be used to improve sleep, German chamomile is sometimes deemed the better option for external applications. Some people find that its relative bitterness makes it slightly less enjoyable when it is used to make beverages while others claim that it is the superior option if you are using it for its medicinal benefits. You can use all parts of the German chamomile; the greens can be good in a salad but note that they can be bitter. Roman chamomile has more of the sweetness and apple flavor we typically associate with chamomile tea. It thus offers a more universal appeal when it comes to its use in tea and other beverages. You can also use Roman chamomile as a salad green or chop it up and add it to sour cream. You can use that sour cream as a topping for baked potatoes. What's A Good Chamomile Substitute?